I visited the Museum of Genocide Victims in Vilnius, Lithuania last week and really learned a lot. 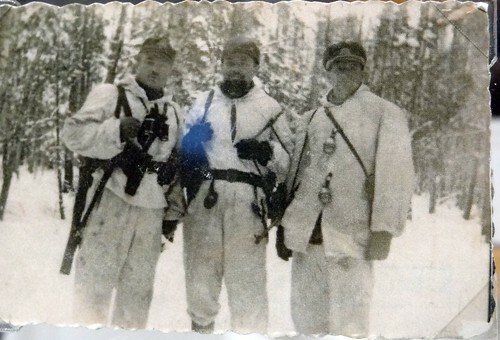 Above is a photo of Lithuanian Resistance Fighters in the cold woods of Lithuania. They first fought against the Nazis and then the Soviets, and continued fighting for 20 years after World War II ended! They were waiting for the Allies to come and take on the Russians, but they eventually lost hope and were either killed or escaped to the west. 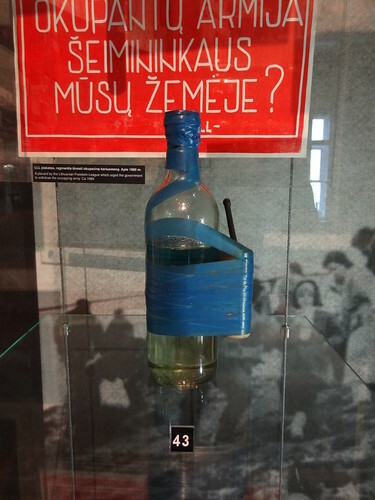 What happened to the Lithuanian people last century is tragic and the museum documents many aspects of it. Stalin might be worse than Hitler. He exiled whole families to remote work camps in Siberia. Those were the lucky ones that were not executed. There are many stories of families trying to stay together in those harsh conditions. The building is where the Gestapo and then eventually KGB were headquartered. I took the tour of the cells and execution room. What a horrible feeling that would have been to be carried away in the middle of the night and locked away in the basement of the secret police. One of the cells in particular struck me. As you can see below, there is a small, metal pedastel in the center of the cell. 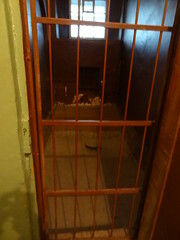 The floor was flooded with water and the prisoner’s only dry area was that little space. What cruel bastards they were! It was strange to see eventually that Lithuanians replaced the Russians as KGB officers. I can imagine the effect of all those conspirators, informants, and spies on a society. It will take probably as long as the communist regime was in power to take away the effects of mistrust and hate sown in the people and structures. I can see why the Lithuanians are very closed and withdrawn to foreigners today. It was a moving and informational experience and I highly recommend a visit if you are in Vilnius. Such a captivating and remarkable part of history, I feel that not enough people know about Stalin and the Soviet Union occupying the Baltic States of Lithuania, Latvia and Estonia. The Museum of Genocide Victims in Vilnius, Lithuania is one of the places I would like to visit most. My boyfriend is Lithuania and has had the chance to see it for himself. The pictures that he has from the Museum evoke so much sadness and horror. There is an amazing novel, called between shades of gray written by Ruta Sepetys, she has done an incredible job illustrating the journey of some deportees and their stories, this is a book everyone should read! Thanks for the recommendation Michelle. I will be visiting Lithuania again and I hope to learn a bit more about the Jewish story of Vilnius. They suffered even more than the Lithuanians and Poles.